When it comes to kitchen remodeling services, Melton Design Build offers proven design and construction experience plus one of the highest verified homeowner satisfaction ratings among kitchen remodelers throughout the entire Boulder area, including Boulder, Louisville, Lafayette, Longmont, Niwot, Erie and Superior. 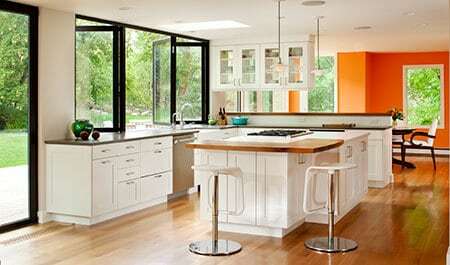 Good kitchen remodeling services combine excellent design, functionality and money-saving energy efficiency. That’s why Melton’s talent-driven approach and full-service remodeling capabilities reward our clients with smart, sensible and innovative kitchens that continue to delight them for years. Our design team plans the space and makes kitchen remodeling a pleasure by recommending appliances, fixtures and finishes that are just right for your family’s needs, lifestyle and preferences. Add in our seasoned project management team and you’ve got the perfect recipe for achieving your kitchen remodeling dreams. 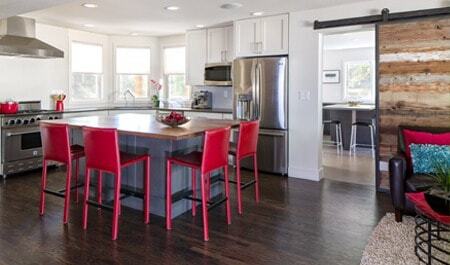 Melton is one of the most experienced kitchen remodeling services contractor in the area. Over the years, we’ve used our design-driven approach to remodel kitchens of virtually every size and for every lifestyle. This rewards our clients with a custom kitchen and a remodeling experience that is professional, enjoyable and completed on time and within their remodeling budget. Want to speak to a member of the Melton Design Build team about your kitchen? Contact Us Today!